Maximum number of tickets per order is 8. Your confirmation email will come from confirmation@etix.com. It may go into a junk or spam folder. Track is Standing Room Only (SRO)- no seats/chairs. 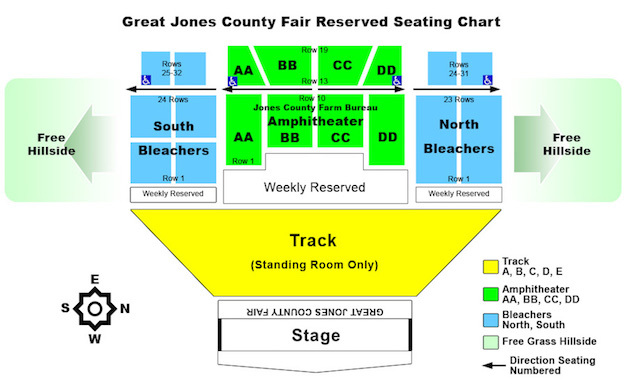 Amphitheater and Hillside Bleacher's tickets are a seat with specific Section, Row and Seat number. Select Tickets by Section. Once the select by Seating Chart is activated, you can see what remains and choose your own seat.